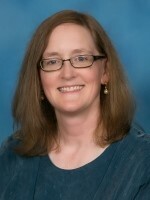 Angela Witt Prehn currently is Senior Core Faculty in the Public Health Program at Walden University, and has taught and mentored in both the masters and doctoral programs since 2007. Her interest in psychosocial and cancer epidemiology, research and public health ethics, public health education, and policy development has been fostered through multiple projects and has resulted in over 70 publications and presentations to date. Most recently, Dr. Prehn has been involved in looking at the effect of student cohorts on retention and sense of community in online programs. In addition, she has been part of a study team examining the knowledge and attitudes of public health educators towards people living with HIV/AIDS and their willingness to conduct rapid HIV testing. Dr. Prehn also has been involved in studies looking at the ethical and policy challenges surrounding surgical treatments for Parkinson’s disease. She has published a monograph on cancer incidence in Chinese, Japanese, and Filipino people in the United States and Asia, as well as several studies on cancer incidence, diagnosis and treatment, with a focus on breast cancer and Asian/Pacific Islander populations. She has been a project team member of the Minnesota Pandemic Ethics Project, a multi-stakeholder effort involving public engagement that was charged with developing ethical frameworks for the allocation of scarce health-related resources in the event of a severe influenza pandemic. Dr. Prehn is experienced in communicating complex health issues to health care professionals and the lay public, as well as working to understand the political and policy implications of major health findings. She received both her masters and doctorate in epidemiology from the University of California at Berkeley. Cruz-Feliciano, M. A., Ferraro, A. E., Prehn, A. W. (2017). Substance use related stressors: Are they antecedents to substance abuse treatment utilization?. Puerto Rico Health Sciences Journal. Packel, L. B., Prehn, A. W., Anderson, C. L., Fisher, P. L. (2015). Factors influencing physical activity behaviors in colorectal cancer survivors.. American journal of health promotion : AJHP. Camp, E. A., Prehn, A. W., Shen, J., Herbst, A. L., Strohsnitter, W. C., Hobday, C. D., Robboy, S. J., Adam, E. (2015). Factors associated with a lack of pap smear utilization in women exposed in utero to diethylstilbestrol.. Journal of women's health (2002). Santella, A. J., Fraser, J. P., Prehn, A. W. (2014). The role of health education specialists in conducting rapid HIV testing. American Journal of Health Studies. Lewis-Keith, S., Kuo, W., Prehn, A. W. (2018). Predicting sexual assertiveness among Black women. International AIDS Society. Emerson, J. A., Prehn, A. W., Danawi, H., Zoppelli, L. (2017). A Quantitative Analysis to Determine Whether Clinical Trials are Proportionately Distributed Across Cancer Indications. Drug Information Association. Emerson, J. A., Prehn, A. W., Danawi, H., Zoppelli, L. (2017). Do the Variables that Predict the Number of Cancer Clinical Trials in the United States Differ by Sponsor Type?. Drug Information Association. Kennedy, J., Prehn, A. W., Fufaa, G. D. (2015). Association of Social Characteristics and Obesity in Military Dependent Children. American Public Health Association.